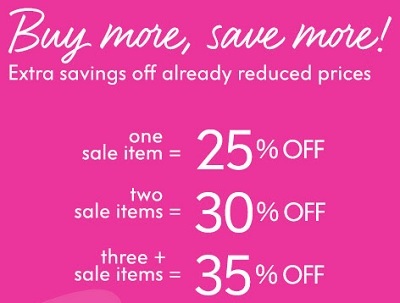 Neiman Marcus is having a special offer where you can take an advantage of extra savings on sale styles! Receive an extra 25% discount when you buy on sale item. Receive an extra 30% discount when you buy two sale items. Receive an extra 35% discount when you buy 3 or more sale items. Source of the information is Neiman Marcus. Offer is valid online only. Offer expires on Wednesday, June 22, 2016. Fore more details visit Neiman Marcus online.